Wat Mong Krathae 0.20 Km. Mong Krathae School 0.61 Km. Mong Krathae Forest Protection Unit 1.21 Km. 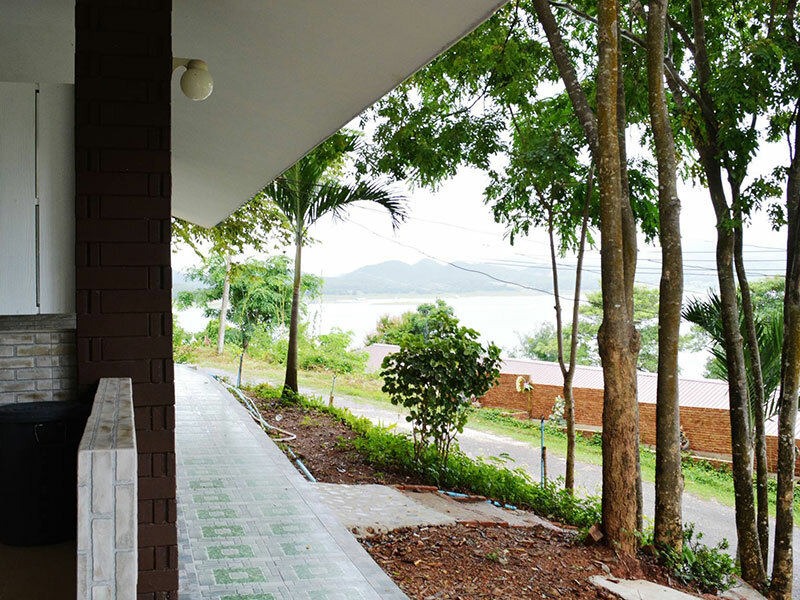 Tha Kradan Hospital 1.22 Km. Tha Kradan Provincial Electricity Authority 1.47 Km. Tha Kradan Sub District Administration Organization Si Sawat District 1.68 Km. 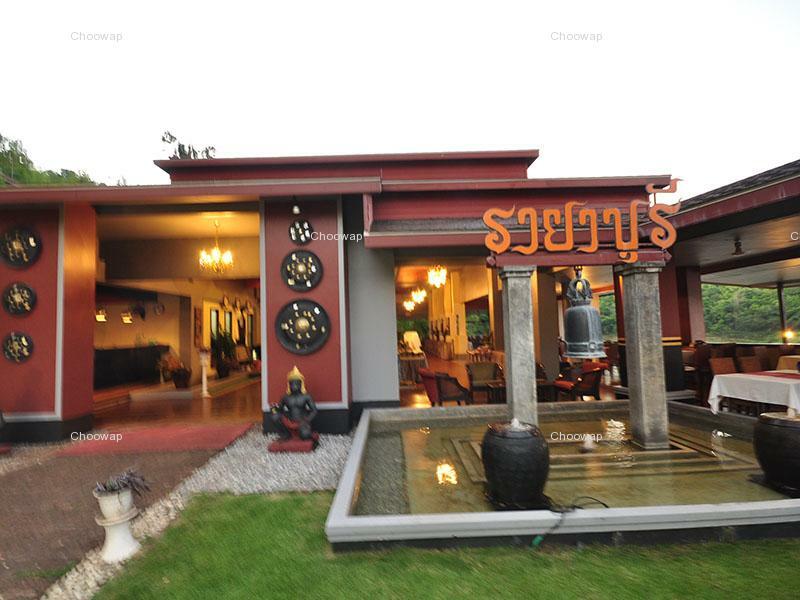 Si Sawat Pittayakhom School 2.09 Km. Sri Nakharin Dam 2.57 Km. Ban Tha Kradan Community School 2.61 Km. Agriculture Technology Training Center Si Sawat District 2.69 Km. Wat Tha Kradan Si Sawat District 2.95 Km. Nong Pet Sub District Administration Organization 3.67 Km. Si Sawat Kindergarten 4.42 Km. Wat Ko Buk Pattana 4.58 Km. Ban Chao Nen School 5.30 Km. Erawan Sub District Municipal Office 5.32 Km. Si Sawat Police Station 5.44 Km. Khuan Si Nakharin Kindergarten 5.72 Km. Pra That Cave 6.10 Km. National Park Office Si Sawat District 6.61 Km. Erawan National Park 6.78 Km. Mae Kra Bung Sub District Administration Organization 7.64 Km. Ban Thung Na School Si Sawat 7.89 Km. Wat Thung Tana Wararam 8.37 Km. Ban Kaeng Khaeb School 11.23 Km. Ban Tha Sanun School 11.77 Km. Mae Lamun Forest Conservation Office 13.69 Km. Khao Pu Wildlife Conserve Promotion and Development Station 14.93 Km. 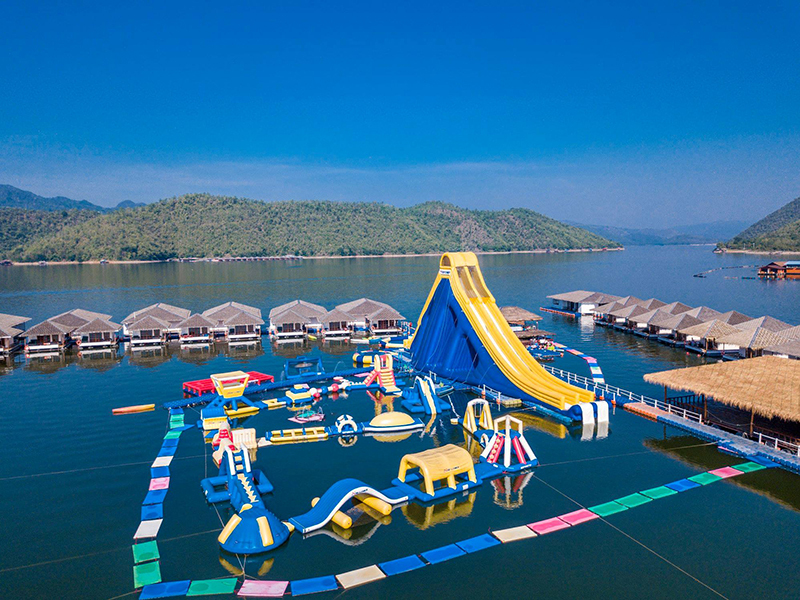 Lake Heaven Resort and Park is situated at 241 Moo 5 T.Takradann, A. Srisawat, located on Srinakarin Dam Kanchaburi. The resort close to Erawan waterfall is big and beautiful. 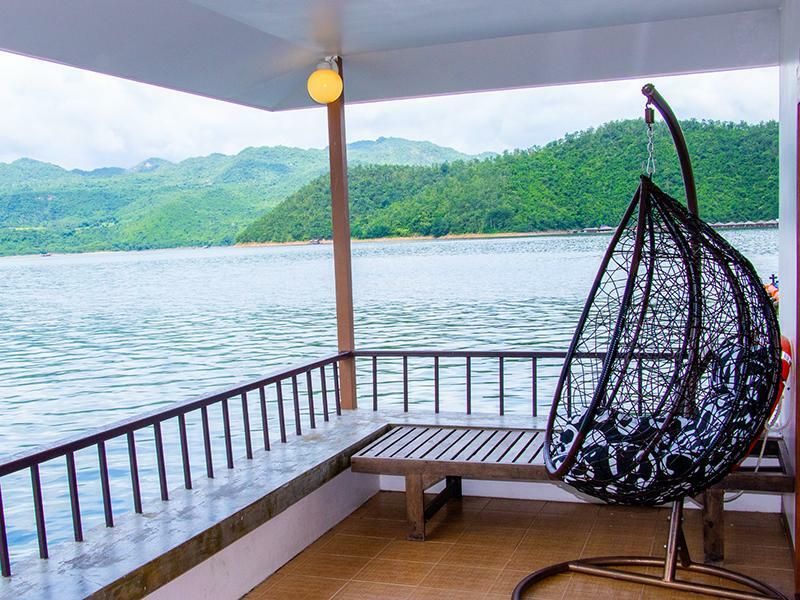 Lake Heaven have both houses on water and on land for 2 and up to 12 person/house. 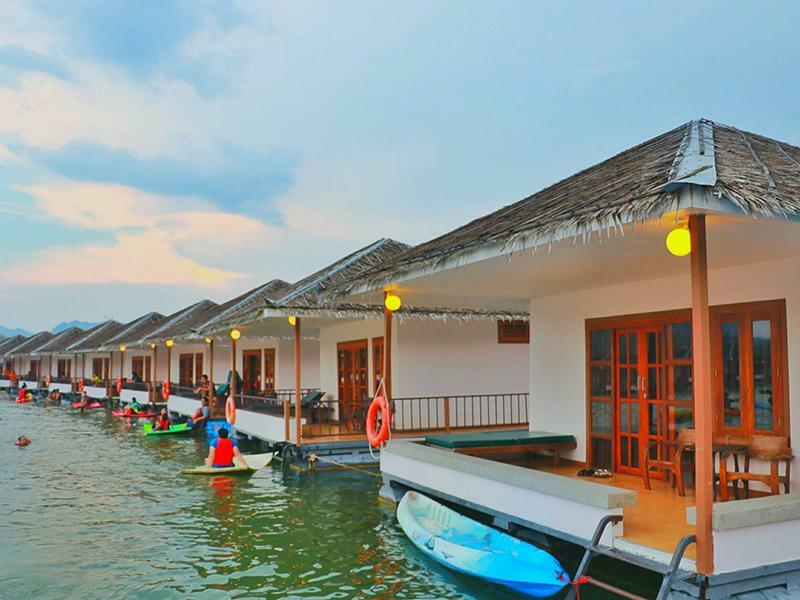 Rooms are maldive-style surrounding with the natural. 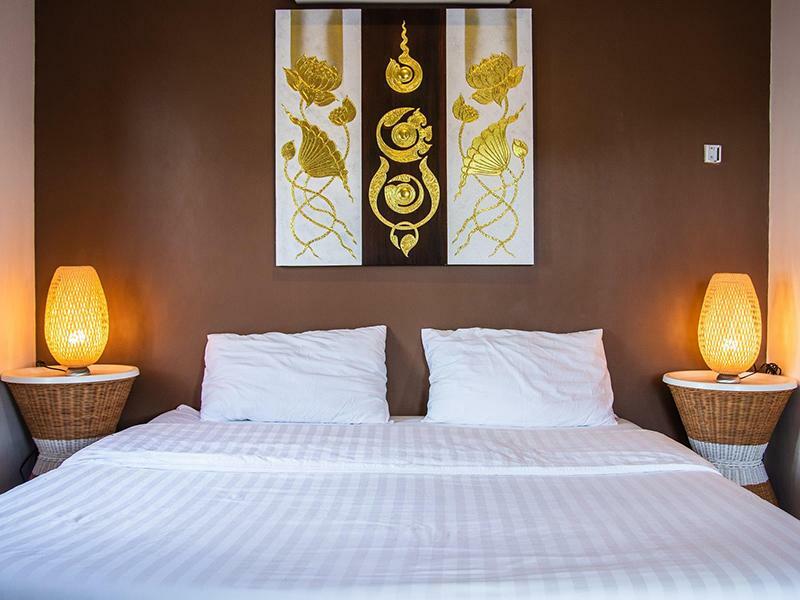 Each rooms come with TV, comfortable bed and airconditioner. (S	ri Chong Kho room are fan rooms). 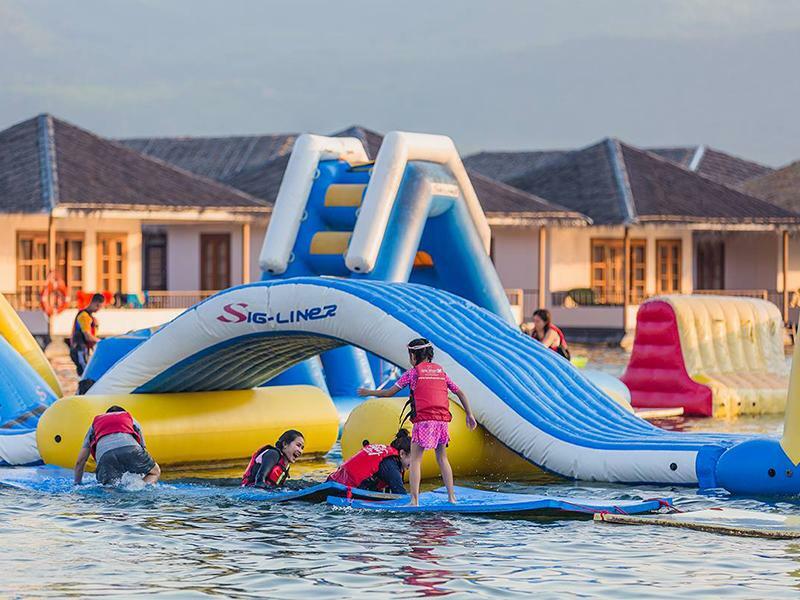 The resort provide several sport activities such as gun boating, kayaking, water slide, springboard water, water bicycle, or a speed challenge events such as Banana Boat, Donut, sailing yacht, and jet ski. read more..